Described as one of the most historically significant American guns on the market, the forensically confirmed carbine of a 7th U.S. Cavalry bugler is headed to auction. Although Martin never made it back to Custer’s position until after the battle (he apparently lived until 1922), his carbine, Serial No. 19573, somehow stayed behind as he rode for help and a fired cartridge later recovered from the battlefield was forensically matched to the gun as part of the Custer Battlefield Firearms Identification Project. 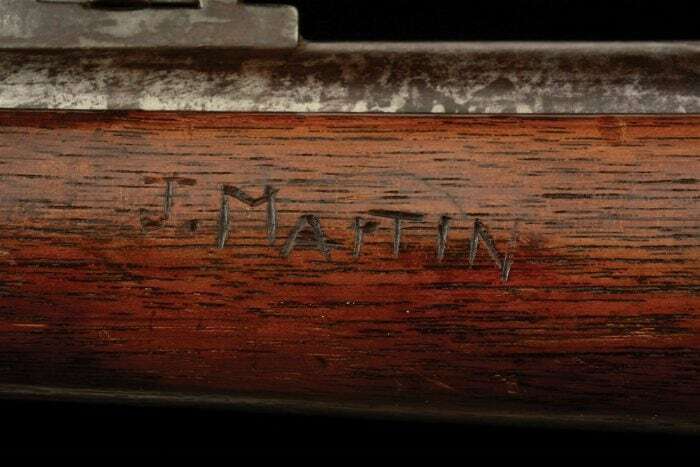 The project, which reportedly ran from 1984 to 1996, cataloged some 2,000 recovered cartridge cases and bullets and one matched the firing pin marks on Martin’s rifle.